The 710PT-LF Pinch Tube Dispensing Valve is engineered for precise control of low to medium viscosity liquids. 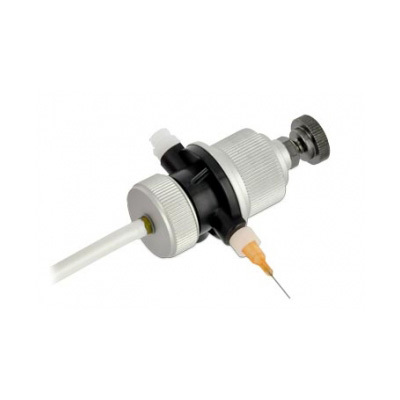 The easy-to-use stroke control adjustment knob ensures accurate and repeatable dispense volumes. The disposable pinch tube design allows for quick and easy servicing of the valve. 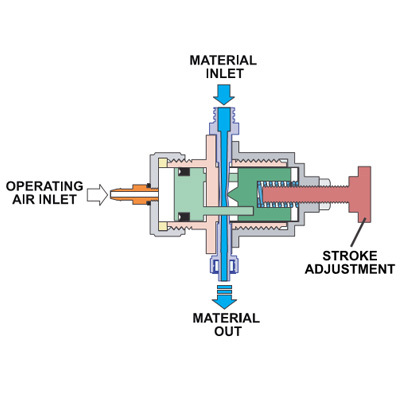 Piston on/off actuation causes the pinch tube to open or close allowing material to flow through the valve. The shot size or flow rate is determined by the degree of adjustment in releasing the closed (pinched) tube and by the valve control timer.